The Starwood Amex free night is now valid ANY day of the week – but is it worth getting? Whilst the merger of Starwood Preferred Guest and Marriott Rewards does not happen until 18th August, the changes to the Starwood Preferred Guest American Express credit card take place today. The earning rate will move from 1 SPG point per £1 to 3 ‘new scheme’ points per £1. This is in line with the 1:3 exchange rate being used by all other ex-Starwood partners. The free night voucher is no longer restricted to weekends. You can use it on any day of the week as long as reward nights are showing and the reward night costs 25,000 points or less. I am obliged to remind you that the representative APR on this card is 39.7% variable, including the annual fee, based on a notional £1,200 credit limit. The interest rate on purchases is 22.9% variable. Note: Because we won’t know the name of the combined Starwood Preferred Guest / Marriott Rewards loyalty scheme until January, I have used the phrase ‘new scheme’ in this article to describe the programme as it will be from 18th August. Where can you use the free night voucher? Historically there were a grand total of FOUR UK hotels where you could use the free night voucher. You could of course use it globally, at any Starwood hotel which cost up to 10,000 points per night (so 30,000 ‘new scheme’ points equivalent) but that figure gives you a good impression of how useless it was. From today, the free night voucher will be valid at any Marriott or Starwood hotel costing up to 25,000 points per night, using the new reward chart from 18th August. Importantly, what emerged yesterday is that you can now use your free night during the week. This improves the value a little, since most hotels are more expensive on midweek nights. Whilst the free night voucher will only be valid at hotels costing up to 25,000 points per night, there is a LOT more opportunity to use it because the Marriott portfolio is also available to you. This is obviously a substantial improvement – we have gone from four UK hotels where you could use your free night voucher to 43. However, don’t get carried away. Spending £25,000 on an Amex card is NOT easy – and your only reward is a free night at a relatively low-rent hotel …..
Should you consider getting the SPG American Express card? Even if you already have a Gold / Platinum charge card and a British Airways American Express card, you can still get the sign-up bonus on the Starwood Preferred Guest credit card. The sign-up bonus is 30,000 ‘new scheme’ points. 30,000 ‘new scheme’ points should – subject to final confirmation on 18th August when we see the new chart – convert into 10,000 miles with over 40 airlines, including Avios and Virgin Flying Club. Used for hotel rooms, you should get £150 of value from your 30,000 points. You only need to spend £1,000 within 90 days to receive 30,000 ‘new scheme’ points as a sign-up bonus. This should not be tricky for most Head for Points readers, given that the BA Premium and Gold / Platinum cards have far higher thresholds. Now that Emirates, Etihad, Lufthansa, American and United no longer have UK credit cards, the Starwood Preferred Guest Amex is the best way to earn miles in these programmes. There are also 30+ other airlines who never had a UK credit card, such as Air Canada and Qatar Airways, where this credit card is the best way to earn miles in the UK from day to day spend. This isn’t worth much, to be honest, because ‘new scheme’ Gold has few benefits. More importantly, you can Gold status for free simply by taking out an American Express Platinum charge card, no spending required. You can cancel the card at any point and receive a pro-rata refund of the annual fee. Just don’t focus too much on spending £25,000 on the card to trigger the free night voucher, because there are far better places to put your long-term spending …..
My full review of the Starwood Amex credit card is here. You can apply for the card here. It was disappointing they didn’t take the opportunity to increase the value of the voucher further, considering the spend required is so high, would it really be too much to let us use it at new Cat 1-5 or even 1-6/7! Might have missed it somewhere, but any idea what’s happening to existing Marriott Travel Package 7-night certs? Haha, I got that much…I was wondering if there was an outcome, but apparently not…never mind, time will tell I guess! Is there any news on the Marriott credit card from Creation being relaunched now that it’s August? I would be keen to know this too. I thought that yesterday but it was too late to check (if they even know). I agree it would be a benefit. The risk is that you then cancel and they can’t process a split refund. Would certainly increase the appeal to me more if it was a 25k discount rather than just a redemption for a 25k hotel. Is the card still worth churning? Ie no chance it will be removed in next year or so? It may well be removed. Why have Amex running an Amex and Creation running a Mastercard? 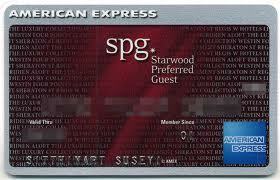 Does the 6 month rule apply to the SPG Amex? I cancelled my previous one only last month. If the earning rate holds, will this be the only UK card that pays more than the US equivalent? The US card will be earning 2x points per dollar, which is slightly worse than the UK card. However, it comes with the annual free night cert of up to 35k points without any spending requirement. I’m interested in why you say there are far better places for long term spend? In the first year at least the sign up bonus is worth more than twice the fee, but the ongoing earning rate of 3 Marriott points per GBP seems a pretty good rate (1.5%). Paid for VS has higher fee and lower earning rate (1.125%) plus stuck with only VS miles rather than the more flexible Marriott points. There’s of course the old ‘value of BA 241’ argument but for solo travellers or those that have already earned one of those in the year that doesn’t hold. I guess the spend could go to hitting other Amex targets, but compared to the Amex Plat (0.75%) I thought the ongoing spend on thus card wasn’t too bad. I tend to agree. We’re most of the way to a BA 241, with the vauge plan of earning another and then trying to book 4 seats to the US or similar. I’m not that certain we’ll be able to get 4 seats or even save enough avios before the vouchers expire.. Under the ‘old’ SPG scheme I achieved 4.5p per SPG point with a travel package. All these comments about spend “value” to justify points “buying”. 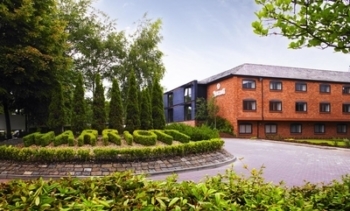 Can’t value at more than you can buy the points for (as you should otherwise buy the points with cash) and SPG have had it where you could buy Marriotts at 0.55p a few times this year. It’s not bad but you would get better value putting £10k on an IHG Premium and getting the free night cert on that, for instance. Do you have a press release or something about the free night being valid for any night of the week? I just called SPG and they tried to apply it for a weekday night, but not working. They were not aware of any change in T&C that such award nights can now be used for any day. Maybe nights vouchers awarded from today onwards? I only have an internal Amex doc, which to be fair did not mention existing certs. So we know if this applies to vouchers already earned? I assume yes but don’t hold me to that. It has to move to points based because of the category changes, the only question would be over whether it moves to weekdays or not. After the 18th we almost certainly will. Still not had my points into my Starwood account from last months sweep ( on the 14th ) from my SPG Amex..
And getting the run around from Amex who its appears dont have a clue.. They said they sent them , Starwood said they have not recieved them. Are others still in the same boat? I had 800 or so points move over last night. Just missed out on the spend bonus going over – gutted about that. Same here. Called amex last night saying I wished to cancel the card but have points in limbo. They’ve confirmed card cancellations means forfeit of all outstanding points so have to keep the card open. Nice earner for someone. Yes, me too. Should have gone across around the 14th and still not in my SPG account. Amex have agreed to open a case for me but not heard anything back from that yet. Waiting for about 2200 SPG points which I really wanted to hit before the 18th. Yep still waiting for points to post from July 12th. Opened a case but have to wait 5 days which is tomorrow. The wife had points posted within 24 hours yesterday so its obviously a problem with my account. I’m due my next points on the 12th August so are concerned these won’t post until after the 18th!! So, is double points for 3 months an attractive offer or should those considering cancelling cancel anyway and hope to churn in 6 months time, if card still around? Interesting that one is still doing the rounds – could be tempted – esp (as it seems) the self-referral from Plat avenue is gone. I’m currently on a bonus SPG point promo with Amex. Will report back in 3 or so days what the effect is with this new scheme. Hi Rob, do you get any “elite nights” for having the card? There’s a link off the Marriott site showing there will be 10 “elite nights” for the new creation Marriott card, when it arrives (it says August), just wondered as this may help towards retaining Plat for some people.